A pinguecula is a benign growth that occurs on the eye. A mucous membrane covers the white portion of the eye, called the sclera. Exposure to irritants can cause the pinguecula to grow on the membrane. A pinguecula may appear as a yellow, white, clear or gray raised area on the sclera, near the iris. The most common location for a pinguecula is on the side of the eye closest to the nose, according to MedlinePlus. Repeat exposure to risk factors can increase the size of the growth. Treatment for the condition includes using artificial tears and steroid drops, but some individuals may not need any treatment. If the growth spreads over the cornea or causes discomfort, a surgeon may need to remove the pinguecula. Exposure to ultraviolet, or UV, light from the sun can cause pinguecula growth. Chronic exposure to sunlight can increase the risk of developing a pinguecula. Pingueculae already formed on the eye can worsen with repeat exposure to harsh sunlight and windy conditions, according to EyeconX. Outdoor activities such as gardening, farming, fishing and golfing increase the likelihood of a pinguecula lesion, and wearing protective eyewear can help reduce the risk of developing one. Anything that causes irritation to the eye can cause a pinguecula to grow. Factors that can easily irritate the eye include cigarette smoke, dust and toxic vapors. 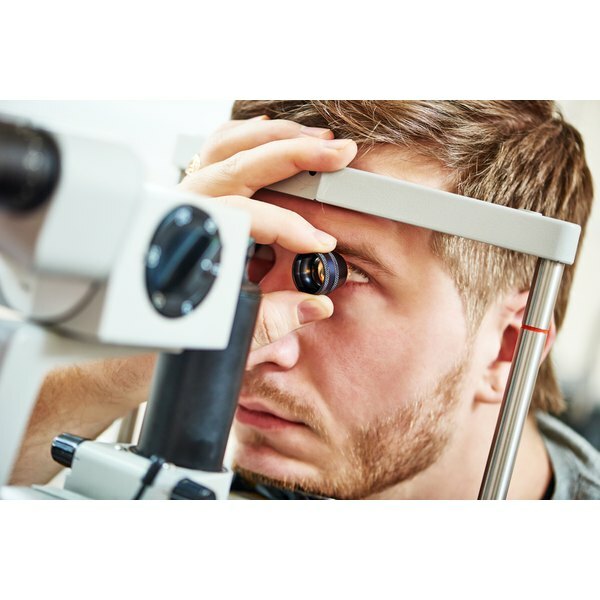 Dry environments or medical conditions that cause dry eyes may contribute to the development of a pinguecula, and can also exacerbate an existing one. Allergies due to pollen, chemicals from swimming pools, bacterial infections and viral infections can also cause enough irritation to cause a pinguecula to form. Welders experience an increased risk of pingueculae as an occupational hazard, according to the University of Maryland Medical Center. During work, arc welders have increase eye exposure to UV radiation. Without proper eye protection, the UV exposure can cause pingueculae to grow.